The funny thing about the X-Men franchise is that it can decline just as much as it can excel. The first installment, released in 2000, was an interesting introduction to a colorful cast of mutated freedom fighters that had a solid promise but seemed like it was missing certain bits. The 2003 sequel had much more action, more developed characters, and a grander feel to it that elevated the reputation of comic book movies in general. With those two steps forward came two giant steps back in the sub-par third installment and a god-awful origins story of the franchise’s standout character. Thankfully, 2011 brought a fun, fresh, and invigorating prequel that reestablished what the X-Men could bring to the multiplex. Yet again, the franchise would come to a halt with yet another horrible stand-alone movie based around its breakout star. So now, 14 years since its introduction into Hollywood, how can this franchise take a much-needed positive step forward? Take the best of the old with the best of the new and connect whatever dots you can. A daunting task indeed, but one pulled off wonderfully by Bryan Singer, the man who first brought the X-Men to the big screen. Singer returns to the director’s chair for “X-Men: Days of Future Past,” where he combines the casts of “X-Men: First Class” and the original X-Men trilogy. Here, the mutants of the future are hunted and imprisoned by deadly robots known as Sentinels. Running out of options, Professor Xavier (Patrick Stewart) and Magneto (Ian McKellen) decide the only way to save the future is to change the past. They plan to use Kitty Pryde’s (Ellen Page) newly acquired power of sending one’s mind back in time to one’s younger self in order to stop Mystique (Jennifer Lawrence) from killing scientist Boliver Trask (Peter Dinklage), whose death caused the US government to mass produce the Sentinels and declare war against mutants. The only mutant strong enough to sustain the timey-wimey journey is Wolverine (Hugh Jackman), as he is sent back to meet up with the younger Xavier (James McAvoy) and Magneto (Michael Fassbender) to track down Mystique. It’s a big plot with big characters taking a big risk on a big franchise (see a theme, there?). By some miracle, Singer manages to weave all of the characters from the original trilogy and “First Class” into a compelling storyline that ties in the Vietnam War and Nixon’s presidency flawlessly. The primary focus here is on the “First Class” team, who are all on point. McAvoy and Lawrence are especially good and being angry, hurt versions of Xavier and Mystique. Lawrence especially has more bite than her last skimp in blue makeup, showing cold bitterness behind stunning beauty. Mr. Dinklage (awaiting trial by combat on TV’s “Game of Thrones”) is also exceptional as the driven but sinister Trask on a mission to study mutants in the fight against human extinction, making him less of a villain and more of a smart man fighting the wrong cause. 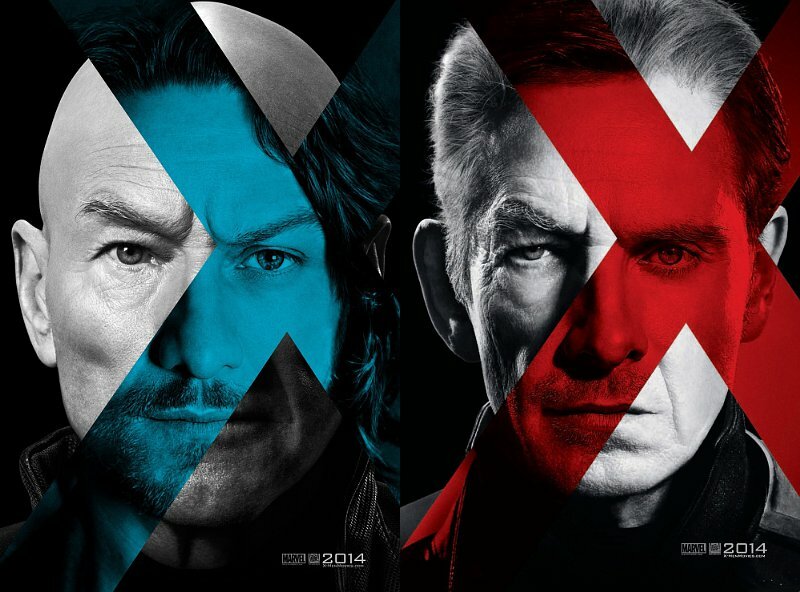 It’s interesting to see Jackman’s Wolverine be the mediator between the volatile opposites that are Xavier and Magneto (patience isn’t his strongest suit, as he points out early on) as he’s typically the one who needs to be held back. Jackman’s restraint allows focus to be kept evenly on other characters, where typically his back-story is part of the plot. Even the addition of new mutants like Quicksilver (a standout Evan Peters) doesn’t bog the movie down. Nearly every character gets juicy lines that make them memorable to the audience, thanks to a tight script by Simon Kinberg (who actually only wrote the screenplay for “The Last Stand”). There isn’t a bad performance or wasted actor in this movie, except maybe for Halle Berry’s Storm, but that’s hardly noticeable. The real miracle is at the hands of Bryan Singer, a director who has pulled feeling out of everyone from a gang of former criminals (“The Usual Suspects”) to even Superman (“Superman Returns,” a far better Superman movie than “Man of Steel,” by the way). Singer pulls off the same miracle that Joss Whedon did with “The Avengers” by carefully combining the essential pieces of a beloved franchise into a cohesive, working action movie. Plus, he made sure to make it fun for both comic book fans and casual movie audiences without insulting either group of audiences. That’s a real gift; just like “Days of Future Past” is to the summer movie collection. This is the best X-Men film to date, and definitely has this critic’s ticket punched for “X-Men: Apocalypse” in 2016. This entry was posted in Uncategorized and tagged movie review, X-Men Days of Future Past. Bookmark the permalink.